The greatest travel gadgets are those that save space and weight and few do so better than a Kindle. Lauded as a travel essential since its initial release thanks to its ability to condense hundreds of books into one lightweight gadget, for 2018 Amazon have taken things one step further with Kindle Oasis, its first waterproof e-reader. Available in 8GB or 32GB sizes, the 7" screen features Amazon's Paper White technology allowing you to read in bright sunlight without glare and now comes with Bluetooth pairing and integrated Audible giving you access to over 200,000 audio books. The Kindle Oasis also features an ergonomic redesign, primed for reading single-handed, that offers the choice between touch screen and push button page turning and weight distribution specially designed to mimic the spine of a book. On board connectivity is better than ever so, now that there's no problem sharing your yachting adventure on social media, how do you ensure your followers never miss a moment? 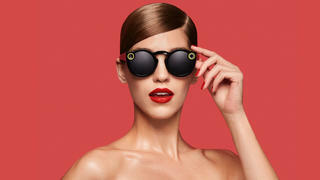 Spectacles are high-tech sunglasses with two integrated cameras which allow you to share everything you're seeing live on Snapchat with your followers. Simply connect the sunglasses to a dedicated smart phone app, press the button to being recording and wirelessly add videos to your Memories on Snapchat. Available in three colourways, each pair also comes with a special case which charges the Spectacles when not in use. If you've already got a great drone for your superyacht then chances are you've got one of the best underwater cameras, like the GoPro Hero, to go with it. Now the world's most famous adventure filming brand is letting you take your superyacht vacation films one step further with the GoPro Omni - a camera rig that enables you to capture and edit 360 degree footage. 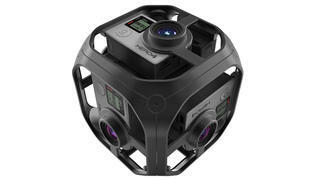 The Omni holds six GoPro Hero 4 cameras in a spherical layout and you simply use it as you would a normal GoPro. The footage can then be easily edited together using Kolor Stitching Software leaving you with an impressive virtual reality video of your latest superyacht slide or Jet Ski adventure. 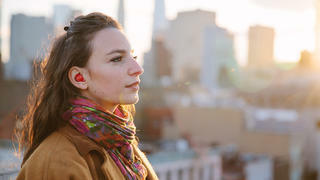 Perhaps inspired by the intriguing Babel Fish from The Hitchhiker's Guide to the Galaxy, Pilot is the world's first smart earpiece which promises to provide instant in-conversation translation. Created by Waverly Labs with the intention of breaking down the language barriers that can prove so difficult when in a foreign country, Pilot works via a smartphone app and can currently translate English, Spanish, French, Italian and Portuguese with dozens more language to follow. Each pack comes with the two earpieces - one for you and one for the person you are speaking to - and the app can even be used to make conference calls between multiple participants all speaking different languages. Having started life as a crowd sourcing campaign, the Pilot has now reached its target with the first shipment completely sold out pre-order yours from the second shipment now. Undoubtedly one of the biggest inconveniences for the frequent traveller is the need to have multiple plug adaptors on hand at all times - which is where Oneadaptr steps in. 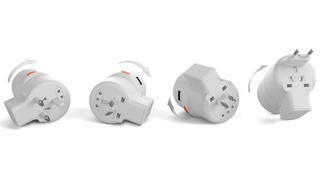 The genius designers behind the brand's Twist range have created a clever compact adaptor that works in over 150 countries by using a simple twisting mechanism to switch between EU, US, UK and Australian plugs. Better yet you can even attach your Mac charger directly to the adaptor so you can charge your laptop and another device simultaneously. For more clever gadgetry check out the Twist's USB versions - with space for four USB devices and a Mac charger - and the Stack modular extension cable which can be customised with your choice of UK, US, EU and Australian plugs as well as USB sockets. The effects of frequent flying on your sleep patterns, weight and health are well documented and if you travel a lot for business or pleasure you’re bound to have felt them first hand. 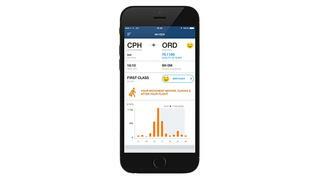 To try and remedy this aviation analysts OAG have teamed up with the International Air Transport Association to create an app which helps fliers monitor their health and wellbeing while travelling. SkyZen can be used with the Jawbone fitness band, Apple Watch and Fitbit and tracks movement and sleep patterns. This data is then used in conjunction with live flight schedules and routes to provide tips and suggestions on how to avoid jetlag to ensure you disembark in top condition. The SkyZen travel app is free to download from the iTunes store. The effects of frequent flying on your sleep patterns, weight and health are well documented and if you travel a lot for business or pleasure you’re bound to have felt them first hand. To try and remedy this aviation analysts OAG have teamed up with the International Air Transport Association to create an app which helps fliers monitor their health and wellbeing while travelling. SkyZen can be used with the Jawbone fitness band, Apple Watch and Fitbit and tracks movement and sleep patterns. This data is then used in conjunction with live flight schedules and routes to provide tips and suggestions on how to avoid jetlag to ensure you disembark in top condition. The SkyZen travel app is free to download from the iTunes store. Ideal if you’re sailing with young children (who have managed to wear out even the best water toys) or want to take some underwater snaps, OverBoard’s waterproof tech cases provide comprehensive protection for your iPad, iPhone and e-reader. These lightweight but highly durable cases are easy to fit and allow for full use of touch screen functions giving you complete peace of mind when on board or in the water. For music lovers there is also the option of additional waterproof headphones.